I have downloaded the fantastic template for doctoral thesis available in https://www.latextemplates.com/template/masters-doctoral-thesis. where \IfBooleanTF makes no sense and should be \IfValueTF. My preference would go to \def instead of \DeclareDocumentCommand. However, fixing the class would need weeks of work (for example, \null\vfill has no place and the number of unprotected end-of-lines is huge), so I let it go. This faulty command gives now an error as due to a change in expl3 you no longer can use undefined booleans. The recent error with siunitx (siunitx and fontspec/unicode-math) and mhchem (see egreg explanation at the end of this answer: https://tex.stackexchange.com/a/383077/2388). Why the error occurs is explained in other answers. But the simplest solution to the problem seems to be to not even use \thesistitle. It doesn't do anything really useful. The template was updated to work with recent versions of xparse as well as with older ones. 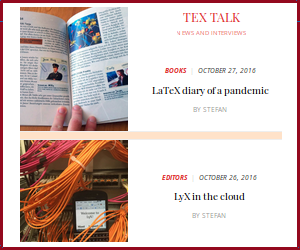 Overleaf still runs TeX Live 2016. What does greedy \bool_if:n(TF) mean? How to change bibliography style for all authors?